In collaboration with UCLA professional and identity clubs, the Center for Global Management connects students to the global community and partners by organizing luncheons and dinners with distinguished global leaders. These small gatherings provide unique opportunities for students, in an informal and interactive setting, to hear thoughts and insights on a variety of subjects, including the importance of global perspectives and experience in today's business environment, and living, working and conducting business internationally. Lunches, dinners and receptions are also hosted by the center with board members, alumni, faculty members and guest speakers before and after global conferences, board meetings and speaker series events on campus, as well as during global immersion courses abroad. A sample of past events are highlighted below. On Wednesday, May 16, 2018 the Center for Global Management hosted a luncheon for students with Brazilian alumnus, Sergio Foguel (’71), board member of Odebrecht S.A., the holding company of the Odebrecht Group. Since early 2016, he has been leading the Group’s governance transformation efforts following Odebrecht’s decision to collaborate with an investigation led by the Brazilian authorities known as Lava-Jato (or Car Wash) operation, which revealed one of the greatest corruption cases of all time involving several companies from Brazil and other countries. Over lunch, Foguel who has been with Odebrecht for over 40 years shared personal stories and experiences with first and second year full-time MBA students. The luncheon provided a unique opportunity for students and members of the UCLA Anderson Latin American Business Association (LABA) from Brazil, Chile and Venezuela to meet a distinguished alumnus from the Latin American region in an informal and interactive setting. Foguel talked about his decision to come to UCLA in the late 1960s and his career trajectory since graduating in 1971, when it was known as the Graduate School of Management (GSM). He shared his thoughts and experiences as well as provided valuable perspectives and insights on a variety of topics. It was an honor and treat for students to engage with and learn from such a distinguished alumnus who was very proud to return to his alma mater and excited to engage with the next generation of global leaders from the region. The prior evening, Foguel served as the keynote speaker for UCLA Anderson’s Corporate Governance Program where he discussed the rise and fall of the Brazilian construction giant that was behind venues for the 2016 Olympics, infrastructure for the 2014 World Cup, the metro system in Caracas, and other massive construction projects including dams and airport terminals. In the Q&A that followed with Senior Associate Dean Alfred E. Osborne, Jr., Foguel focused on the challenges currently facing Odebrecht Group and the initiatives designed to rebuild the company. His board responsibilities include leading the Compliance Committee, which aims to support the company’s commitment to an ethical and transparent governance. In addition to his work with Odebrecht, Foguel has also consulted for business founders and leaders on governance strategy and has played an active role in the governance of social institutions. He has developed research and doctoral studies on organizational learning and development at the Massachusetts Institute of Technology (MIT) and Harvard University. He is also the author and co-author of numerous books, book chapters and published articles focused on governance and organizational development. On Monday, March 5, 2018 the Center for Global Management hosted a brown bag luncheon with advisory board member, Brent Smith (’86). Based in southeast Asian, since 2008, he has served as co-founder and managing partner of LevelOne Capital, a Pan-Asian investment and advisory firm, where he has specialized in startup and mezzanine opportunities in emerging markets with a focus on southeast Asia, particularly Vietnam and Singapore. Smith formerly served as global head of corporate and investment banking for DBS Bank, a Singaporean multinational bank and financial services company after spending almost 15 years with JPMorgan & Co., where he was a managing director in the investment banking and mergers and acquisitions groups, completing assignments in New York, Melbourne, Sydney, Singapore and San Francisco. First and second year students from the full-time and fully employed MBA programs, including CGM mentees, members of the Investment Finance Association, Entrepreneur Association and Southeast Asian Business Association and students interested in global management gathered to hear his career trajectory since graduating from UCLA Anderson in 1986. 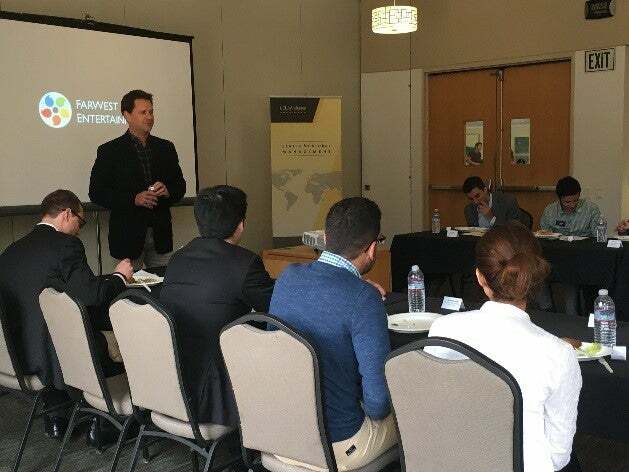 The luncheon provided an opportunity for interested MBA students to meet Smith in an informal and interactive setting and hear his thoughts, insights and experiences as a global investment banker, investor, entrepreneur and strategic advisor. He discussed his career trajectory since graduating from UCLA Anderson as well and his experience living, working and doing business internationally, and the importance of global and diverse perspectives, cultural sensitivity and international experiences in today’s environment. He shared many personal stories and experiences with the students as well as lessons learned throughout his successful global career of over 30 years across Asia, the United States and Australia, providing invaluable guidance to students and describing his transition from investment banker to CFO to venture capitalist to entrepreneur. Smith discussed the importance of peer to peer networking and explained how past experiences and skills acquired in the early days of his career have helped him understand different industries in different countries as well as comprehend various management structures which have all been valuable both in his entrepreneurial ventures today as well as in his role as a board director. He also touched on the importance of looking, listening, learning and self analyzing and described some tough lessons that he has experienced. The lunch was supported by the Investment Finance Association, the Entrepreneur Association and Southeast Asian Business Association. On Monday, November 20, 2017 the Center for Global Management hosted a brown bag luncheon with Tom Georgis (’98), senior vice president of development at SolarReserve, a leading global developer of utility-scale solar power projects, which includes electricity generation by solar thermal energy and photovoltaic panels. Based in Santa Monica, Georgis is responsible for driving the company’s continued growth through initiating and developing projects and business opportunities across the U.S., Latin America, Asia and Australia. Georgis was instrumental in the opening of SolarReserve’s offices in Chile and Australia to serve these rapidly expanding regional markets, and is in the process of advancing strategic partnerships that will facilitate the deployment of the company’s advanced technology in China. Students from the full-time, fully employed and executive MBA programs, including members of UCLA Anderson’s Energy Management Group and students interested in global management gathered in the dean’s conference room during the lunch hour to hear his thoughts and experiences on the renewable energy industry and insights on the business from a global perspective; his career trajectory since graduating from UCLA Anderson; as well as his experience working and doing business internationally through project examples and the complexities of different markets, including currency risk management. He also shared his thoughts and predictions on future employment opportunities for students looking to enter the energy sector, in particular in the renewables space. Georgis serves on the board of the Price Center for Entrepreneurship and Innovation at UCLA Anderson and also as a guest speaker in UCLA Anderson’s Business Strategy in Emerging Markets course. The lunch was supported by the Energy Management Group. On Tuesday, January 24, the Center for Global Management hosted a brown bag luncheon with Jon Niermann (’95), a member of the CGM’s Advisory Board, an alumnus of the FEMBA program and a mentor in the CGM Mentor Program. Jon built his entertainment career of over 25 years with The Walt Disney Company and Electronic Arts, prior to starting his own media companies, FarWest Entertainment (2010) and Loop Media, Inc. (2016). During his career, he has achieved success on both the business and creative sides of MNC regional, corporate and international business units, as well as entered the entrepreneurial world with his own company. For the past 18 years, Jon has been in top management roles bridging the U.S. with Asia for each of these companies. The luncheon provided an opportunity for MBA students across degree programs and class years who applied to the CGM Mentor Program, are pursuing the Global Management Specialization/Certificate and/or are members of UCLA Anderson’s Entertainment Management Association (EMA) to meet with Jon in an informal and interactive setting and hear about his career trajectory post UCLA Anderson, his thoughts and insights on the global media and entertainment industry, as well as his experiences working on the business and creative sides of large companies and then venturing into the entrepreneurial world full-time into his own media companies. During the luncheon, he highlighted some of his projects over the years, including his “on camera” roles and his new venture with Loop Media, a music video service bridging people together through music. He also shared words of wisdom with students interested in starting their own entrepreneurial venture and highlighted the importance of relationships and partners when entering markets. On Thursday, November 10, the Center for Global Management hosted a lunchtime discussion with Lara Vu (B.A. ’95) who has enjoyed a terrific career in both the private and public sector, with UNICEF in New York City and globally in Asia and Latin America and the Caribbean. Vu talked about the power of social impact through for-profit ventures and how innovation can come from inspiration taken from what people do in other countries and then applied here in the United States. The discussion provided an opportunity for around 25 interested and engaged full-time, fully employed and executive MBA students, including members of Net Impact, students working on an international pro-social AMR project and who recently participated in the CGM’s global immersion course “social entrepreneurship and social innovation in South Africa” to meet Lara and hear her thoughts, insights and experience on a variety of topics. She discussed social and economic challenges in emerging markets, the importance and role of public-private partnerships, social enterprise eco-systems in emerging markets, and working in a multilateral development agency. As a strong advocate for the necessity and power of partnerships, Vu spent most of her 19-year professional career forging global relationships, between for-profits and non-profits, with a focus on creating social impact. 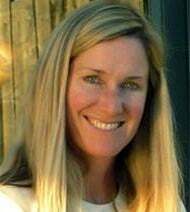 In her current role at MIND Research, a game-based Edtech company with a mission to create the next generation of innovative leaders by raising U.S. student math proficiency from 29% to 90% by 2030, she is leveraging her strengths to build public-private partnerships that will create a sum larger than the whole. The event was sponsored by Net Impact and Impact@Anderson. Brownbag Lunch Series with Brent Nelson Smith ('86), Co-Founder and Managing Partner LevelOne Capital Limited; Former Global Group Head of Corporate & Investment Banking DBS Bank Ltd.
On Thursday, May 5, prior to its Spring board meeting, the Center for Global Management hosted a brown bag luncheon with advisory board member, Brent Smith ('86) from Singapore who was also celebrating his 30th reunion the following weekend. Since 2008, he has served as co-founder and managing partner of LevelOne Capital, a Pan-Asian investment and advisory firm, where he has specialized in startup and mezzanine opportunities in emerging markets with a focus on southeast Asia, particularly Vietnam and Singapore. 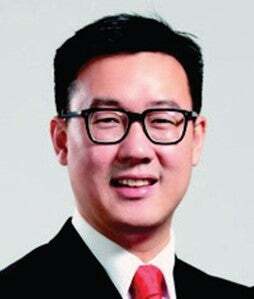 He formerly served as global head of corporate and investment banking for DBS Bank, a Singaporean multinational bank and financial services company after spending almost 15 years with JPMorgan & Co., where he was a managing director in the investment banking and mergers and acquisitions groups, completing assignments in New York, Melbourne, Sydney, Singapore and San Francisco. First, second and third year students from the full-time and fully employed MBA programs, many of whom are members of the Investment Finance Association, Entrepreneur Association and pursuing the global management specialization gathered together to hear his thoughts, insights and experiences as a global investment banker, investor, entrepreneur and strategic advisor, his career path since graduating from UCLA Anderson in 1986 and his experience living, working and doing business internationally as well as the importance of global perspectives and experiences in today's environment He shared many words of wisdom and lessons learned throughout his career, providing invaluable guidance to students from his successful global career of over 30 years across Asia, the United States and Australia serving as a senior international manager, financial services executive, private investor and strategic advisor. 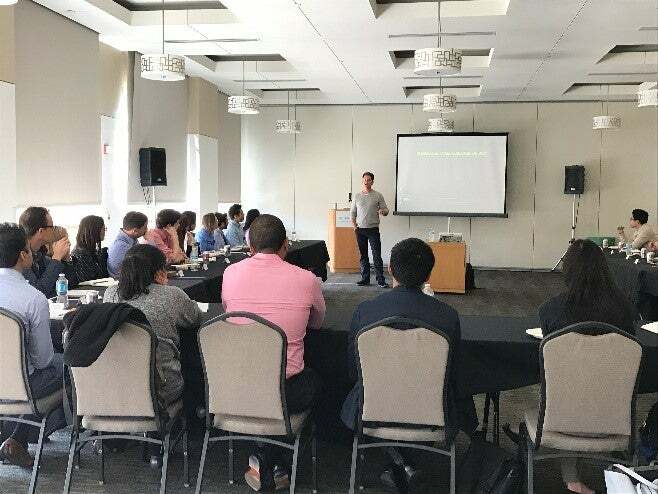 On Wednesday, May 4, the Center for Global Management hosted a brown bag luncheon with Jon Niermann ('95), a member of the Center's advisory board. Jon built his entertainment career of over 20 years with The Walt Disney Company and Electronic Arts, prior to starting his own venture, FarWest Entertainment, a multiplatform (television, music, live, animation, digital) media and entertainment company focused on bridging Asia-inspired content with the West in addition to Western formats with the East. During his career, he has had a unique experience achieving success on both the business and creative sides with MNC regional, corporate, international and entrepreneurial companies. He served in top management roles in Asia for each of these companies overseeing various business and creative aspects of the companies across the region while bridging U.S. commercial opportunities with Asia. The luncheon provided a wonderful opportunity for MBA students, across degree programs interested in the global media and entertainment landscape and in global business in general to meet with Jon in an informal and interactive setting and learn more about his career trajectory and thoughts and insights on the global media and entertainment industry, experiences working on the business and creative sides of large companies and then venturing full-time into his own media company. During the luncheon, he highlighted some of his key project as well as his "on camera" roles and discussed the role of persistence and resilience and importance of building the right team. Afternoon Discussion with Tomo Hamakawa, Director of Strategic Initiatives, Kopernik, Indonesia "Achieving a Triple Bottom Line in Indonesia and Beyond: Kopernik's Mission to Reduce Poverty, Empower Women and Drive Innovation"
On Wednesday, March 9, the Center for Global Management hosted an afternoon discussion with Tomo Hamakawa, Director of Strategic Initiatives at Kopernik, a Bali-based non-profit organization. Hamakawa oversees Kopernik's Last Mile Consulting arm that drives innovation for the poor especially in last mile communities. Last Mile Consulting works with clients in different sectors and scale, including Fortune Global 500 companies, to develop the next breakthroughs in poverty reduction and improved livelihoods. The discussion provided an opportunity for over 20 interested and engaged full-time and fully employed MBA students to meet with a young and influential international leader in the social enterprise non-profit sector in an informal and interactive setting and hear more about his thoughts, experiences and insights on the innovative solutions for social issues in developing countries. He also addressed the six faces of Kopernik: crowdfunding platform, last mile distributor, last mile consulting, last mile innovator, international NGO and Indonesian Yayasan. Hamakawa has extensive field experience working for international and local development NGOs across Asia and Africa, including Kopernik, the Children's Investment Fund Foundation, Save the Children, UNICEF, and the Bridge Fund. In 2014, Hamakawa was recognized as one of the 51 Unsung Heroes of Compassion by His Holiness, the Dalai Lama. The event was sponsored by UCLA Anderson's Japan America Business Association, Net Impact and the Women's Business Connection. On Thursday November 12, the Center for Global Management hosted a brown-bag luncheon with Michael Riady, chief advisor to the group chairman of Overseas Union Enterprise (OUE), a unit of the Lippo Group of Companies, a multi-billion plus Pan Asian diversified conglomerate. 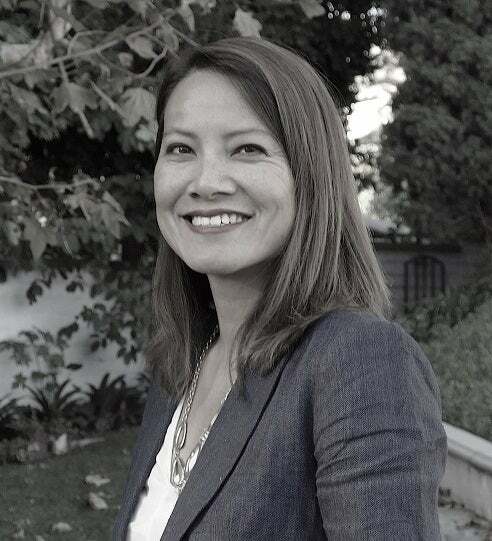 Riady serves as an advisory board member for the Center for Global Management and is a founding member of the UCLA Ziman Center for Real Estate. Riady joined the Lippo Group in 2004 and currently serves in various positions within the organization, primarily focused on real estate in the United States and Indonesia. He has extensive experience in real estate design and development, operations and corporate finance and is a Director of Lippo Malls, Indonesia’s largest owner with 40 malls. In 2010, he spearheaded the Group’s return to the United States and led the team to the sole acquisition of California’s tallest iconic U.S. Bank Tower in Downtown Los Angeles. First, second and third year students from UCLA Anderson’s full-time, fully employed and executive MBA programs, including members of the Anderson Real Estate Association and International Business Association and students pursuing the Global Management Specialization gathered over lunch in the executive dining room for an interactive and highly engaging conversation. The event provided an invaluable opportunity for students to hear Riady’s career trajectory, personal stories working in the family business and learn about the exciting, creative and variety of deals and projects that he has been engaged with over the last ten years. Riady also shared his thoughts on and lessons learned in the real estate industry, the importance of timing, having a platform and being creative in emerging markets as well as having an investment philosophy. On Wednesday, October 14, the CGM held its inaugural brown-bag lunch series for the 2015 fall quarter with Kristina Hermanson (’07), Director of Business Development and Strategy for Southeast Asia for Archer Daniels Midland, a global food-processing and commodities trading corporation, headquartered in Chicago. In this role, she has worked with diverse cultures building an organizational capability for strategic assessment and developing implementation plans for in-country commodity product distribution in New Zealand, Vietnam, Indonesia, China and Myanmar. Hermanson is based in Australia. Being adaptive, creative, and using technology to connect all over the world is certainly part of international business. First, second and third year students from the full-time, fully employed and executive MBA programs, including members of the International Business Association and Women’s Business Connection as well as students pursuing the Global Management Specialization attended the lunchtime video discussion where Hermanson shared her insights on crafting an international career and discussed the aspects that accompany this lifestyle, both professionally and personally. 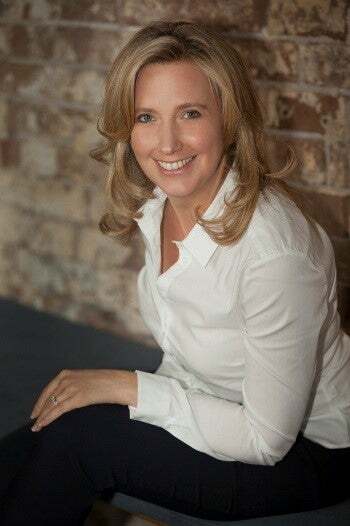 She also shared her experiences on the path less chosen – turning down a consulting offer for a position in an industry often perceived as less than glamorous – and reflected on the results of that decision eight years later and provided valuable lessons on how to adapt to local cultures. On Thursday, May 14, prior to its’’ Spring board meeting, the Center for Global Management hosted a brown-bag luncheon with its’ founding advisory board member, Mike Berchtold (MBA ’87). After graduating from UCLA with a B.A. in history in 1985, Berchtold went straight on to receive his MBA from the UCLA Anderson School of Management in 1987. From 1987 to 2007, he worked for Morgan Stanley in a variety of investment banking roles in New York, Los Angeles, Tokyo, Singapore and Hong Kong. He was based in Asia from 1990 to 2006. From 1999 to 2006, Berchtold was Morgan Stanley’s head of investment banking for Asia-Pacific and then from 2002 to 2006, served as the company’s president of Asia-Pacific. 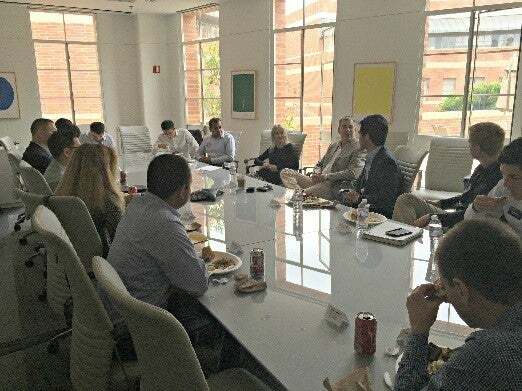 First, second and third year students from UCLA Anderson’s full-time and fully employed MBA programs, many of whom are members of the Investment Finance Association and pursuing the Global Management Specialization gathered together over lunch for an interactive and highly engaging discussion. The event provided an invaluable opportunity for students to hear Berchtold’s career trajectory since graduating from UCLA Anderson and the many decisions he was faced with during his early career. Berchtold also shared his thoughts, insights and experience on the global investment banking industry; as well as his experience living, working and doing business internationally, and the importance of global perspectives and experience in today’s environment. Berchtold also shared many words of wisdom and lessons learned throughout his career, which provided invaluable guidance to the students including the importance of embracing opportunities and building trusted relationships with clients, colleagues and peers, and the importance of first impressions and having emotional intelligence. 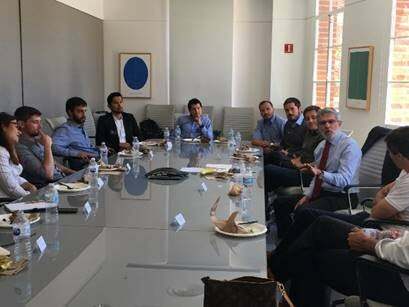 On Friday, March 6, prior to the 2015 Latin American Business Conference: Latin America: Leadership, Society and Globalization, the Center for Global Management hosted a luncheon for students from the Latin American Business Association (LABA) with three very distinguished and accomplished UCLA Anderson alumni who flew in to participate in the afternoon panel discussions, including Alejandro Gonzalez (‘01), Chief Financial Officer, Falabella SACI and Hernan Uribe (‘92), Board Director and Former Chief Financial Officer, Ripley Corp. from Chile, and Richard Lark (‘94), Founder and Managing Partner, Endurance Capital Partners and Board Director GOL Airlines from Brazil. Over lunch Gonzalez, Uribe and Lark enjoyed interacting with students, providing words of wisdom and sharing personal stories about their own career trajectories since graduating from UCLA, as well as advice for working in the region. On Tuesday, February 17, the Center for Global Management hosted a lunchtime discussion with Dr. Heidi van Rooyen, Research Director, Human Sciences Research Council, South Africa who has worked for more than 22 years in HIV and AIDS service provision, policy development and research. Her research involvement and interests have been within the context of HIV prevention and treatment, community development, engagement and participation in research. Dr. Rooyen has worked with UCLA for a number of years and in particular with the UCLA Center for World Health and was joined at the luncheon by Dr. Thomas Coates, Director of UCLA’s Center for Word Health and the Michael and Sue Steinberg Endowed Professor of Global AIDS Research, Division of Infectious Diseases at UCLA.The luncheon provided a terrific opportunity for students and faculty from UCLA Anderson, the David Geffen School of Medicine and the Fielding School of Public Health to meet with Heidi as she reflected on lessons that she has learned in navigating successful projects with international, regional and national collaborators, partners and teams in the pursuit of conducting research that makes a difference and working in partnership and collaboration with others in pursuit of a shared goal. The lunch was sponsored by the UCLA Center for World Health and UCLA Anderson’s Healthcare Business Association and Net Impact. On Tuesday, January 14, the Center for Global Management hosted a brown-bag luncheon with CGM advisory board member, Jon Niermann (FEMBA ’95), Founder and CEO of FarWest Entertainment, a multi-platform media and entertainment company. Jon built his entertainment career of over 20 years with The Walt Disney Company and Electronic Arts, prior to starting his own company, FarWest Entertainment. He served in top management roles in Asia for each of these companies overseeing various business and creative aspects of the companies across the region while bridging U.S. commercial opportunity with Asia. The luncheon provided a wonderful opportunity for MBA students, across degree programs interested in the media and entertainment industry and in global business, to hear from Jon about his successful career trajectory and his thoughts and insights on the ever-changing global media and entertainment industry. He shared with students stories of his experiences living and working in Hong Kong, Tokyo, Singapore and Shanghai and working on the business and creative sides of large companies and then venturing full-time into his own media company, and the importance of learning and understanding different cultures. On Thursday, October 16, the Center for Global Management in conjunction with UCLA Anderson’s Net Impact and Healthcare Business Association hosted a luncheon with Laurie Campbell Bruns, Senior Regional Africa Director of UCLA’s Center for World Health. Bruns, based in Cape Town, South Africa directs a fellowship program on HIV prevention, gender based violence and leadership. 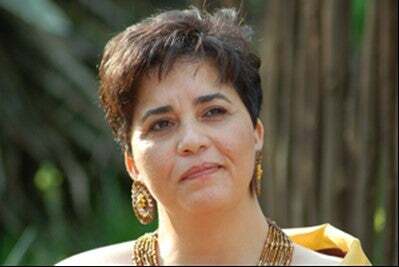 She also works on promoting health and human rights, girls’ access to higher education and better health outcomes, and capacity development for non-governmental organizations. The luncheon provided a wonderful opportunity for interested MBA, MBA/MD, MBA/MPH and FEMBA students to meet Laurie and hear about her experiences living and working abroad, and specifically learn about her work and involvement with health and human rights issues, gender, young people, education and HIV prevention. Bruns was joined by her colleague, Dr. Thomas Coates, Director of UCLA’s Center for Word Health and the Michael and Sue Steinberg Endowed Professor of Global AIDS Research, Division of Infectious Diseases at UCLA. On Wednesday, October 8 the Center for Global Management hosted a brown-bag luncheon with CGM advisory board member, Kevin Berryman (FEMBA ’87) executive vice president and CFO of International Flavors & Fragrances Inc. (IFF). IFF is an international business and leading creator of flavors and fragrances used in a wide variety of consumer products and packaged goods. Students from UCLA Anderson’s full-time and fully employed MBA programs gathered for an interactive discussion and to hear his thoughts and experiences on the industry, his career trajectory and insights on the different functional and international roles that he has served in. He also shared many words of wisdom with the students and addressed the importance of global perspectives, international experiences and understanding and appreciation of cultural differences. Sadeesh Raghavan ('82), former managing director of Accenture, is actively engaged with bottom-of-the-pyramid startups focused on the poor and underprivileged in India and other emerging markets. In October, the CGM hosted a video-conference lunchtime discussion for students from Net Impact and the Entrepreneur Association to learn about venture philanthropy and social entrepreneurship and its role in helping the underprivileged. In November, following a lunchtime talk on the "Evolution of a Social Business," CGM hosted a luncheon in the Dean's Conference Room for Rupert Scofield, president and CEO, FINCA International, a global microfinance network serving low-income entrepreneurs. Students from Net Impact joined UCLA Anderson faculty members and AMR faculty advisors to hear more about the FINCA story and Scofield's personal journey, with more than four decades of experience in the developing countries of Africa, Latin America, Eurasia, the Middle East and South Asia. 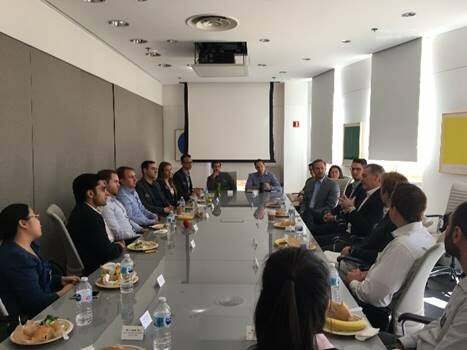 In the winter quarter, the CGM hosted a luncheon with Tom Georgis ('98), senior vice president of development at SolarReserve, a developer of large-scale solar energy projects. Georgis interacted with an engaged group of Full-time and Fully Employed MBA student members of the Energy Management Group and talked about his experience in the industry and insights on his business, where he leads the company's efforts to develop large-scale solar-thermal and photovoltaic energy projects in the Americas and Asia. In March, the CGM partnered with the Fink Center for Finance and Investments and hosted a luncheon for MBA and Master of Financial Engineering students to hear from Thomas Seale ('82), CEO of the European Fund Administration S.A., an independent company servicing investment funds, unit-linked insurance products, private equity funds, real estate funds, hedge funds and funds of funds. Prior to EFA, Seale was managing director and country corporate officer for Citibank Luxembourg. In May, Nicholas Benes (JD/MBA '83), head of the Board of Director Training Institute of Japan, a nonprofit organization that provides training and seminars around corporate governance and related management topics, gathered over lunch to speak with members of the Japan America Business Association, representatives from the UCLA Terasaki Center for Japanese Studies and MBA and FEMBA students pursuing the specialization in global management. Benes shared his thoughts and perspectives on "Abenomics," Japan's economy and capital markets and his global perspective on the future of corporate governance. In February, prior to the 2014 Latin American Business Conference: "Latin America: Land of Opportunities?" 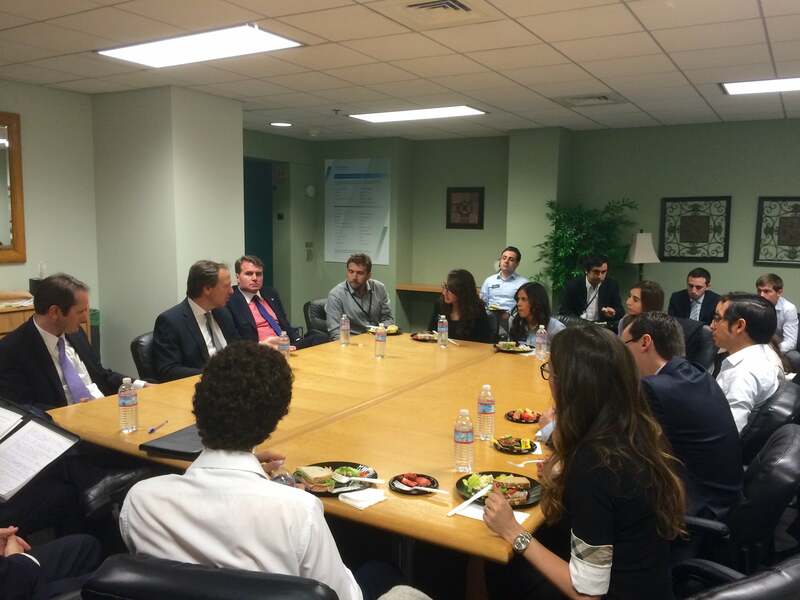 the CGM hosted a luncheon for students from the Latin American Business Association (LABA) and Investment Finance Association with classmates Hernán Rodríguez ('93), CEO of Empresas CMPC S.A., one of the largest pulp and paper companies in Latin America, and Jim Allen ('93), head of Morgan Stanley's Latin America mergers and acquisitions practice and CGM advisory board member. Rodríguez, who flew in from Santiago, Chile, served as the conference keynote, and Allen, who flew in from New York City, was a guest speaker on the panel "Latin America's Next Challenges." Over lunch, Rodríguez and Allen enjoyed interacting with students and discussed topics such as career planning and career and personal trajectories since graduating. The CGM also hosted a dinner later that day for the LABA student conference directors, providing students with the opportunity to network with, and hear and learn from Rodríguez, Allen and other guest speakers and faculty moderators from the conference. Perspectives on global politics, global economics and international development. In April, following a lunchtime discussion on "The Future of the Asian Economy and the United States," Dr. Il SaKong (MBA '66, Ph.D. '69), former finance minister of Korea, joined UCLA Anderson graduate and UCLA undergraduate students for afternoon tea in the Dean's Conference Room. 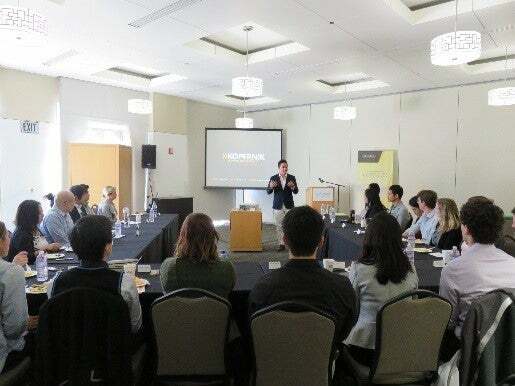 This informal gathering provided a unique opportunity for students to hear from a leader of UCLA and UCLA Anderson's Korean community, and major figure in Korean politics and thought leadership, on his career path and economic insights, as well as his many words of wisdom. Earlier in the day, SaKong had been presented with the Dean's Global Service Award in recognition of his global impact on behalf of the school. Prior to afternoon tea, Beomjoon Kim ('14), president of UCLA Anderson's Korean Business Student Association and UCLA's Korean Graduate Student Association, accompanied SaKong on a tour of the UCLA campus. The following week, after a lunchtime talk on his new book, "The Tyranny of Experts: Economists, Dictators and the Forgotten Rights of the Poor," author and professor William Easterly joined a luncheon with MBA students from Net Impact, Ph.D. students and faculty members from UCLA Anderson and the UCLA Department of Political Science. Over lunch in the Dean's Conference Room, Easterly continued an interactive conversation with students and faculty around the history of the fight against global poverty and the way the world views development. In October, the CGM hosted a brown bag luncheon for students with CGM advisory board member Kevin Berryman (FEMBA '87), Executive Vice President and Chief Financial Officer of International the Flavors & Fragrances, Inc. (IFF). Students from the Strategy, Operations and Management Association (SOMA), the International Business Association (IBA) and students pursuing a career in the consumer packaged goods industry gathered in the Dean's Conference Room. IFF is an international business and leading creator of flavors and fragrances used in a wide variety of consumer products and packaged goods. Prior to IFF, Berryman spent more than 25 years with Nestle, holding a variety of positions, including operations management, M&A, strategic planning and financial control, including time at its headquarters in Switzerland. The same month, the CGM hosted the visit to UCLA of His Excellency Felipe Bulnes, Ambassador of Chile to the United States. Ambassador Bulnes spoke during a private luncheon at the Faculty Center with UCLA faculty and representatives with an interest in and focus on Chile, including UCLA Anderson's Chilean Ph.D. and MBA students (pictured here). The ambassador talked about Chile's path toward becoming a developed country and how it is working toward becoming a regional hub for entrepreneurship and innovation, and how education contributes to this goal. The ambassador was joined by Francisco Correa, trade commissioner of Chile in Los Angeles; Alberto Ruiz, consul general of Chile in Los Angeles; and Lilina Mejias, deputy trade commissioner, ProChile Los Angeles. In February, the CGM hosted a brown bag luncheon with students from Net Impact and Professor Bhagwan Chowdhry and Mary Rose Brusewitz, partner in charge, Strasburger & Price, LLP and adjunct professor at the University of Michigan Law School who discussed the legal side of microfinance. CGM-supported AMR teams also shared their personal experiences with microfinance and insights from their respective projects. In March, students from the Greater China Business Association (GCBA) joined the CGM and Parker CMC for a private dinner with Willa Wang, talent acquisition director, Lenovo China (pictured here, back row third from left). Lenovo, a Chinese multinational technology company headquartered in Beijing was the world's second-largest personal computer vendor by unit sales in 2012. Wang flew in from China to participate in the 2013 Wilbur K. Woo Greater China Business Conference on the HR/Talent Development panel "Successful Strategies to Address Cross-Border Talent and Bi-Cultural Issues." In April, CGM hosted a luncheon for students from the Entrepreneur Association (EA), South Asia Business Association (SABA) and IBA with Arvind Singhal ('82), chairman of Technopak, who served as keynote speaker for the India Conference: "Innovating, Investing and Adapting in the Wake of New Economic Reforms." Technopak is one of India's leading management consultancy firms that specializes in several sectors, including textiles and fashion, retail and consumer products, education and agricultural food processing and food services. Singhal interacted with students and discussed topics such as career planning, entrepreneurship and consulting as a career.